Hey guys! Aren't these springiful (yes, I know it's not a word...haha!) 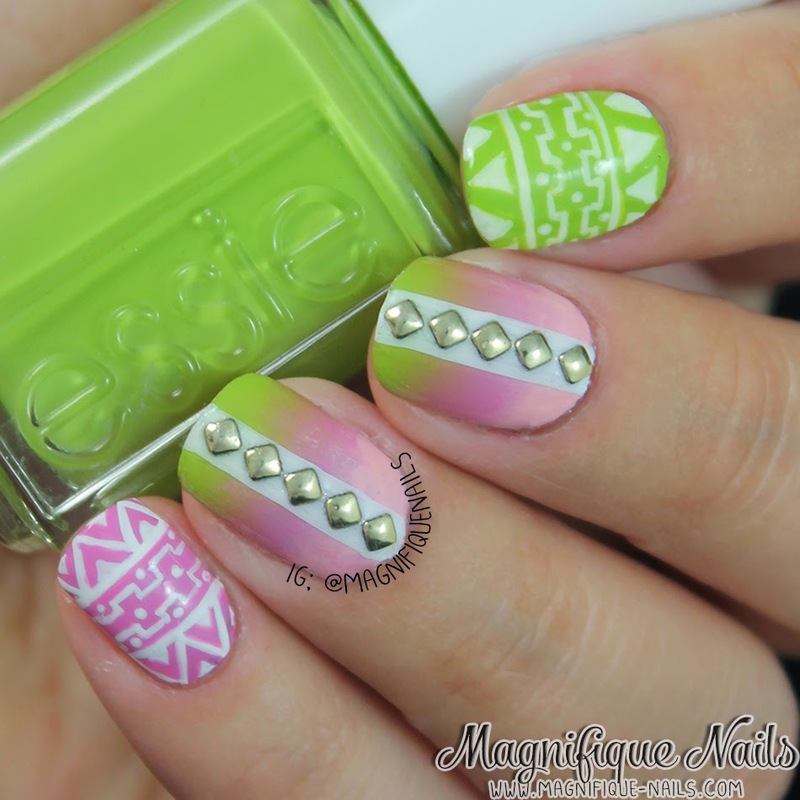 I was in a tribal mode all this week! Especially, while organizing my polishes; I found some I haven't even used! Don't you guys hate that?! Anyways, I really loved the colors I chose for this design. It's bright and so pretty, I really hate I have to remove them. For the gradient, I started off by applying two coats of OPI Alpine Snow. 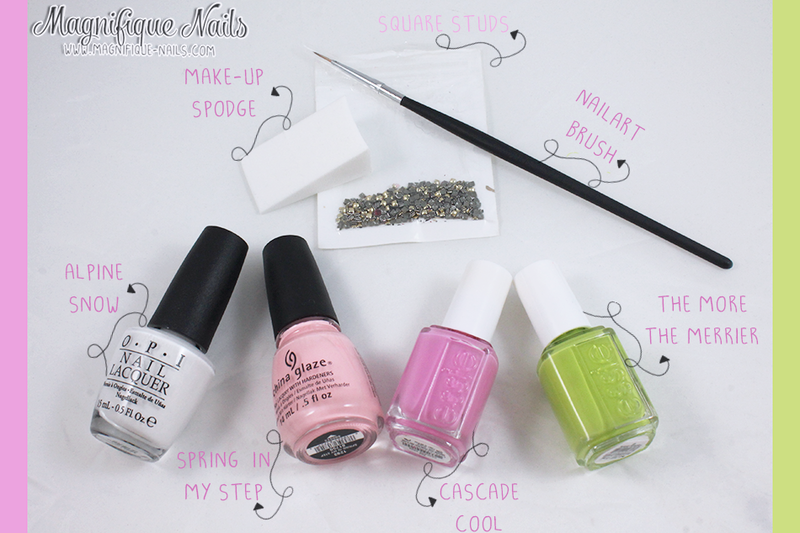 This way I don't lose the natural colors of the polishes. At first, I applied Essie The More the Merrier, but the gradient looked awful! So I decided, with a white base the colors would pop! 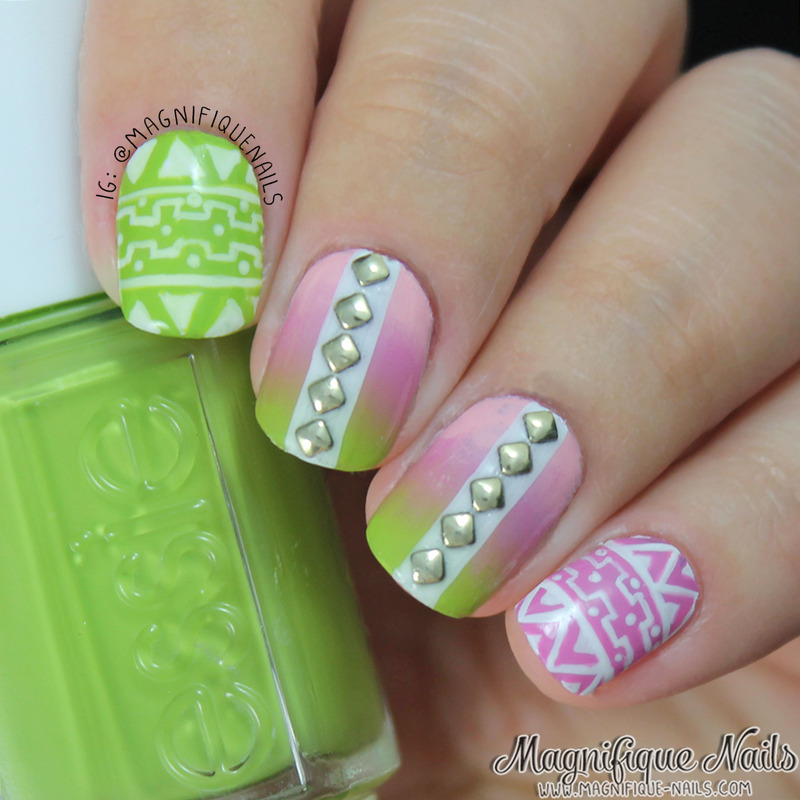 For the tribal nails, I used two coats of Essie The More the Merrier, two coats of Essie Cascade Cool and two coats of China Glaze Spring in My Step. Once the polishes were completely dried, using a nail art stripping brush, I freehanded the tribal nails with OPI Alpine Snow. On the gradient, I freehand the lines in the middle and added golden square studs, for accent. First I added a thin coat of top coat for the studs to be placed studs on top. You can purchase the studs here on Born Pretty Store. Lastly, I sealed the design with Duri- Super Fast Dry Through Top Coat, that's it! Overall I really love the design! the color combination was my favorite and can't here what you guys think? !